Hi! I’ve missed you a lot. I just remembered you while scrolling through my albums and albums of pictures. I must say that I’ve really missed you for the past 2 years. You’ve always been a globe trotter! You have the world at the palm of your hands and you can go anywhere, buy anything and care less of everything! I know you’ve enjoyed this phase a LOT! You can sleep through the day, eat any time you like and most of all, WEAR anything and KNOW that it will fit your XS-S body frame. You’ve been taken cared of ALL your life. Being a single child means that the attention of your parents are with you only. When you’ve had your first job, your co-workers turned into friends and you were the youngest…. they’ve cooked for you all the time while you are away from your parents and treated you as their youngest sister. Life’s been great! You just needed to wash the dishes afterwards like the youngest sister, always! You will realize after all of these, that it was preparing you to see how to care for others in the future! You’ve also been through a lot of pain, losing the whole of your family and you will feel that you will have no place in this world…. BUT! Wait for it! Good things come to those who wait. Just wait. A great thing will be coming, SOONER than you think! After exactly half a year of being an orphan, you will learn that you will NEVER be alone: a tiny human inside you! I know it sounded incredulous, you might not even realize it. You will still continue to be a globe trotter that you are until you cannot zip your work trousers! Only until then that you realize something is up. You’ve spotted your period and you can’t zip your trousers? Yes, I know. Something adds up–literally! You will have to buy those things that will show you those two lines for you to believe it! You will start to experience what “having no clothes to wear” mean. Thankfully, a generous friend will give you all her maternity clothes so that you don’t need to buy. You will have to clip your wings and sit in an office until you give birth, then go to fly again afterwards, sounds easy, right? You will find another set of family in the office, believe it or not, you will enjoy being in an office! Another set of perspective and you will learn a lot through this phase too. Enjoy it while it last, since you will not stay for long. After a while, your XS-S body turned to a whale will experience back pain and you will feel like a turtle on its back since you won’t be able to get up from the bed without your husband to push and pull you up. Doesn’t sound nice but it will be your truth for a few months before your tiny human arrive. You will also lose your ankles, believe me. It will be all legs and feet, no ankles. Oh, and that jaw line? It will disappear too. Did I mention that your pits will darken like your worst nightmare too, but do not fret! It will go back to its color, trust me. Prepare also for the worst pain in your life! You will be torn and ripped apart. That nice little va-jay-jay? After a while, you won’t recognize it too. BUUUUUUUT, know this: Good things come to those who wait aaand the pain will be worth it, as I said! Now look at those tiny fingers, didn’t I tell you it will be worth it? I know, thank me later since this will be the start of something bigger! Say goodbye to your precious “ME” time and to your precious sleep. It will take a while before you can say hello to those again, even after 10 months, I assure you…. those things will take their own sweet time to come back. Remember how everybody took care of you? Yes? THAT is how you will take care of this tiny human too. You will name him Lowe and your world will change as you know it. Say goodbye to your globe trotting career! You wanted to go back, you said before? One look at that baby, you will even forget what you’ve said and you will never want to part from him even for one second! He will be the clingiest person you will ever know, sometimes you might not like it but then, when you look at him, you change your mind and LOVE it. 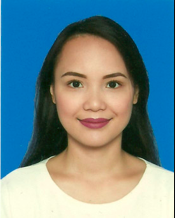 Say goodbye to your old body that you still wish you had since you have tons of clothes of that size, but somewhere along the way, you will have to accept that you’ve transitioned to a few 5 kgs from your original weight pre-pregnancy. You will throw away your old clothes, old practice and even your old, selfish self. You will learn to be selfless. You will learn how great this love is. You will have a new meaning. You will have a family, again. … and suddenly, you will not miss your old self because the you in the present is much better. It has been a while and the main reason for the silence here is because that I’ve been reading and watching a lot about creating a Youtube channel. I felt that, since I want to immerse myself in on this kind of media, I wanted to try them all and see which is more fun! Realistically, “Vlogging” is tough work. I thought that it would be easy! Boy, was I very wrong. I was in for a ride. First, I needed to find the right equipments. Not necessarily the perfect ones, just right ones to start with. I needed a good camera, good audio, good lighting and a good editor. I didn’t want to buy a new camera so I’ve just used the one on my phone and about the audio? Just bought an external mic connected to another phone of mine which I placed nearer to me and then I just sync them during the edit. However, the lighting is one that I cannot recreate. I needed to buy a good light. So I’ve researched and then decided to buy a ring light. Quite expensive, yeah, but if I want to make this work. I have to buy one. After assembling everything I might need. I thought that I was ready. I needed a space in the house with ample lighting and a decent background which doesn’t focus on the clutter of the house. Cue, a house with a baby plus a lot of baby stuff strewn around. After much careful deliberation, I’ve decided on a small corner overlooking the living room. Then came the recording day, I realized that I have to be presentable. So, make up – ON. Took a while since I don’t really wear make up on a daily basis nowadays. Then ofcourse, choosing the clothes, etc. Finally, I could record! I’ve recorded in my native language (still thinking about doing a video in english to cover a wider audience too). Then I sputtered quite a few times that I had to cut and edit a lot. I realized then that I have to write some points I wanted to cover to avoid these “uh…uhmmm” pauses that annoyed me during editing. After the recording, I had to transfer the files and edit them on Adobe Premiere which I’ve learned only through Youtube. Thankfully, there are lots of tutorial about them. So there! That’s what I was up to recently. I’ll be writing more, I promise. I’m just having fun recently. It’s totally out of my comfort zone. Vaccinations – Health Center or Private? At first, I couldn’t believe how expensive vaccinations are. Lowe was born in Qatar where everything was literally free, vaccinations included, so when I moved back here, my eyes went wide as saucers upon learning the prices of every single vaccine Lowe has to get prior to reaching his 1st year. During his first pedia visit here, we shelled out almost Php 5000+ for two vaccines. Yes. TWO! 😳 Which was exactly my point. So I searched for the cheapest source of vaccines or any hospitals having their “vaccination day”. 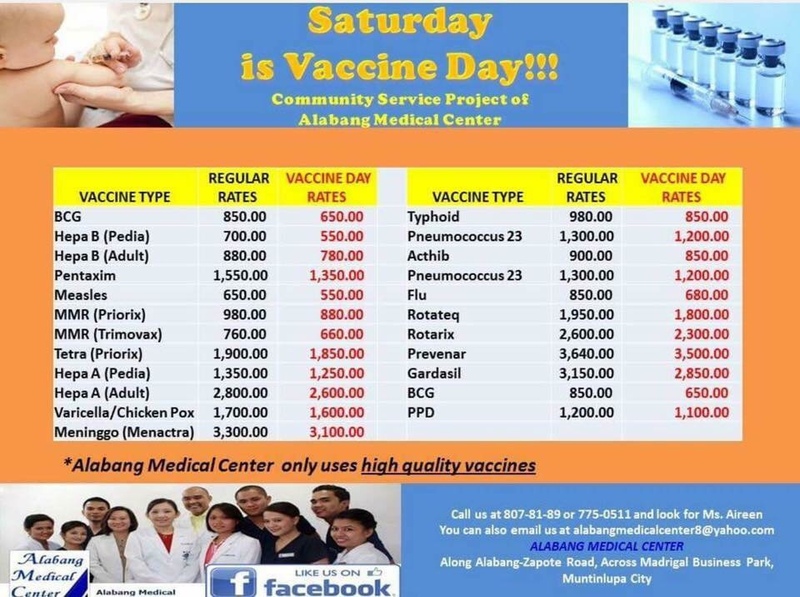 Luckily, Alabang Medical Center has their vaccination day every Saturday and their vaccines are a fraction cheaper than the regular days’ price. I was ecstatic! For the schedule of the vaccines themselves, I still follow the baby book from where I’ve given birth to Lowe. 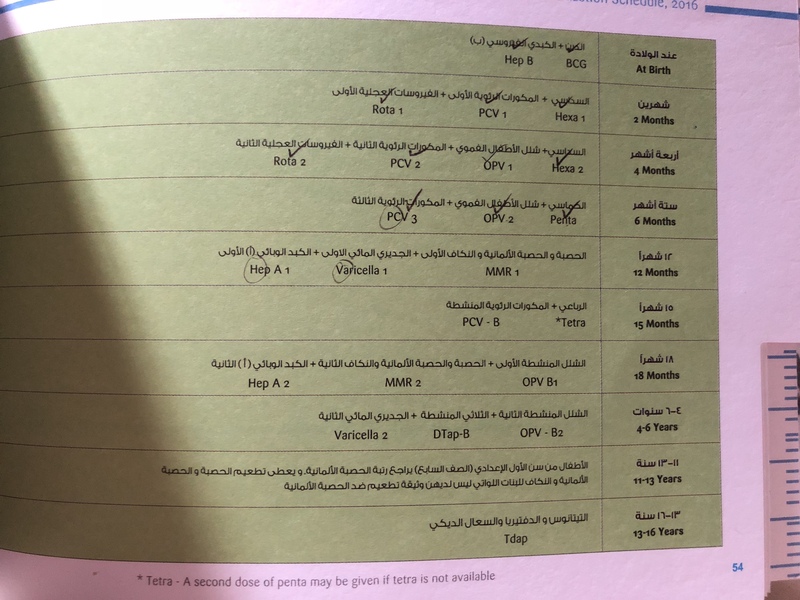 So far, the baby book from Hamad Hospital is the most comprehensive one than the ones here. Plus factor, it’s easily broken down to months, in tables and enumerated. For a first time mom like me, this is the best baby book. It’s practically spoon-fed information. While I am already happy with the place Lowe gets his discounted vaccinations, my husband was still not satisfied. He wanted them for free. He informed me that government health centers for each barangays are giving out free vaccinations. I couldn’t believe it at first. So we went and inquired. In every barangay, there’s a health center assigned to them and this is the only place you can register as you need to have a proof of address that you are living there, thankfully, my husband’s center was not crowded so by the time we inquired, they informed us that it’s okay for that day to have my son vaccinated with OPV1. I was pleasantly surprised. A free vaccine and we just walked in, no waiting, no queue, no hassle! However, the only con with the center is that not all vaccines are free, there are selected vaccines which are free whilst the others, you have to pay for a discounted price than what an average pedia will charge you. Oh well, as long as we got some for free! So, the verdict is: I will continue to take vaccines from the government centers and from private hospitals. Looking at this photo taken by GJD Multimedia PH , you will never know that Lowe did not smile like this throughout the photoshoot. In fact, his smile was rarer than a lightning during a sunny day on the shoot. One of the reasons a photographer is called a professional is because they can capture moments like this and make it seem the opposite from what it really was during the session. I never realized how difficult it could be to have a baby at a shoot. Why? The main reason is, you cannot tell the baby when to smile. Babies cannot fake a smile. They are the most uninhibited people on the planet! They cry when in pain or sad, shout when angry, smile when happy or contented. Very simple! Yet very complicated because they just don’t smile for no reason, especially when placed in a new environment such as this. Lowe is very much like William in this case, very quiet and observant when placed in a new situation/location. Thankfully, Miko from GJD Multimedia PH captured these fleeting smiles of Lowe and made it seem like he was smiling throughout the shoot! We brought his favorite stuffed toy Minion and a bubble-making toy which wasn’t very effective. Only when placed on the mat to stand or on his tummy did he smile. I guess Lowe isn’t one for the cameras. It’s okay Lowe, you’ll find your true calling in the future. Choosing Lowe’s first meal was quite challenging. I was reading a lot regarding allergens, easy to digest, nutritional value, etc. before the actual day of feeding Lowe. Apparently, there was this 3-Day rule of feeding a baby. I should feed Lowe the same food for 3 days to see if he will have any negative reactions to the food. Such as allergies or even constipation. Easy enough to say, but where to begin? So I began with oats. I was looking for steel oats but couldn’t find anywhere! So I settled for wholegrain rolled oats. I ground 2 spoonfuls of oats into smaller pieces then cooked it using my frozen breastmilk. The finished product has a texture of a cerelac and was easier to swallow with minimal to no chewing needed. Thankfully, Lowe did not have adverse reaction to the oats. He actually looked like he was enjoying joining us for breakfast. I told William to look out for Lowe’s cues that he’s had enough, true enough, after a couple of spoonfuls with a random spills here and there, he stopped opening his mouth and stopped being interested with his food. Looking for Lowe’s cues has been very helpful for me as his mother to know what and how he’s feeling. Whether sleepy, hungry or just plain bored. Looking for cues whether he was ready to eat was equally important to me to make sure he is actually ready to eat and not just because he turned 6 months. ✔️ Can sit upright without assistance. ✔️ Their reflex to push out food with his tongue has lessened. ✔️A baby has developed a “pincer grasp” or picking up things with his forefinger and thumb. ✔️Can be seen chewing at times, especially during mealtimes, if he’s seated with you. This is showing their eagerness to participate. I’ve already seen these cues one by one developing slowly until ultimately I’ve noticed him with the final cue which was his pincer grasp. I knew the day has come. Welcome Lowe, to the World of Flavors. I am lying here beside you, in the middle of the day, feeding you to sleep. I get teary-eyed about what tomorrow means: Lowe, you’re turning 6 months tomorrow! Also, you will be starting your solids. I will not be the sole provider of your sustenance and it makes me feel happy and sad at the same time. Happy, that you are growing healthily, and sad because you are growing up and needing me less. I do not know how long after this you will need to feed from me but I hope you will continue for a bit longer before you wean yourself off my breast. Seeing you start to lift your bottom in preparation to start crawling makes my heart full because you are hitting milestones after milestones, but it also makes me realize that the time will come soon that you will want to start walking by yourself and would not want to be carried any longer. I can’t believe that time flies so fast! Watching you peacefully sleep now, I am feeling so thankful that I get to experience and see for myself your little triumphs day after day that I tend to forget that you also grow and start to be less dependent on me. Looking at your face makes me feel that I made all the right choices in my life because, ultimately, those choices led me here. With you, watching you sleep soundly. So Lowe, please stay a baby a little while longer. Let me experience and cherish this moment a little more.